The smartphone revolution is spreading to every corner of the globe and, in 2011, an astounding 450 million smartphones were shipped. But what is the environmental cost of all these phones? A piece from OPower looked into this and found some surprising facts. 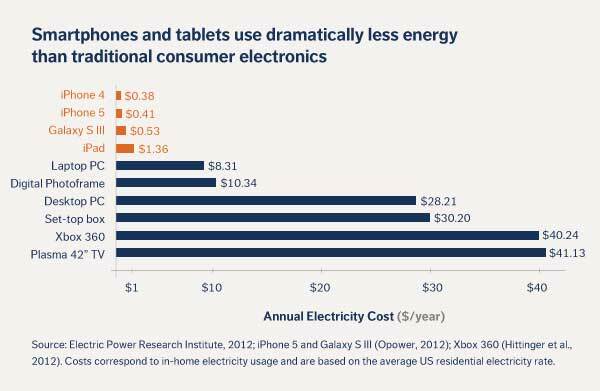 The first is that the iPhone 5 only uses $0.41/year of energy, and the second is a look at the post-PC era. with my buddies on facebook. I reallymerely wanted to disperse your superb writing! Next Next post: What kind of peanuts are these?